The therapeutic benefits of the horse were recognized as early as 460 BC, and have continued to evolve over the centuries throughout the world. 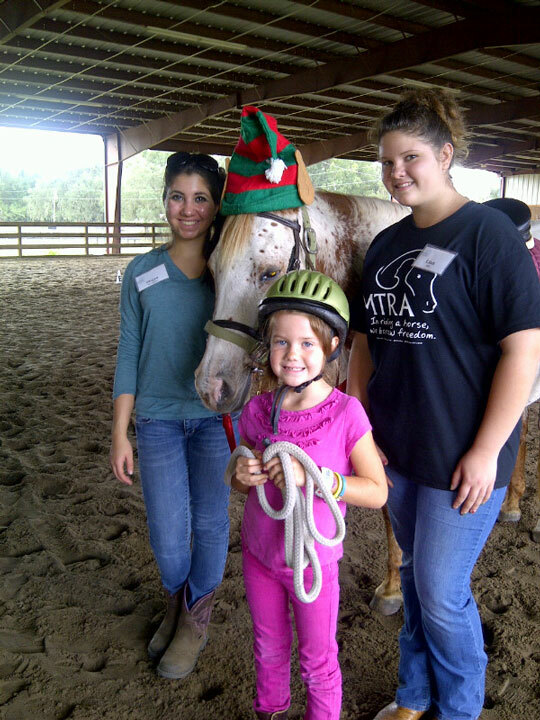 Today, it has been proven that children and adults with a wide range of disadvantages, including physical, intellectual, emotional and mental, have benefited from the therapeutic benefits of horseback riding and other equine-assisted activities. 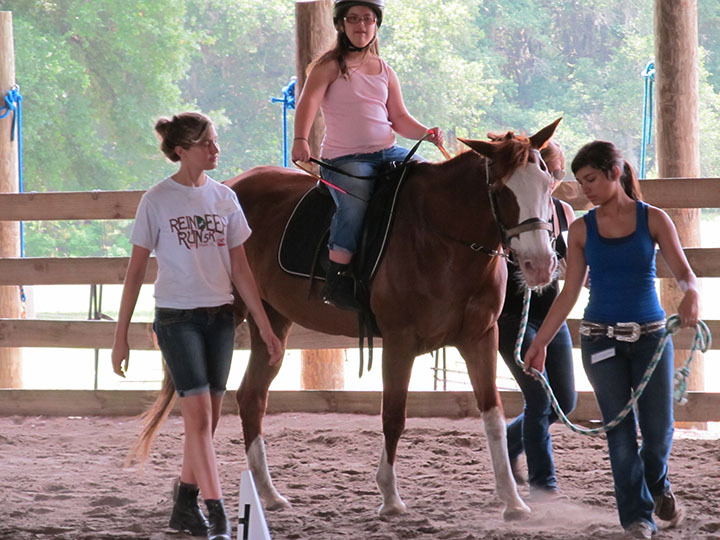 Because horseback riding gently and rhythmically moves the client’s body in a manner similar to a human gait, clients with physical disabilities often show improvement in flexibility, balance, posture and muscle strength. It has also been proven to affect psychological, cognitive, behavioral and communication functions for clients of all ages. The special relationship formed between horse and client often leads to increased confidence, patience, self-esteem, independence and acceptance. 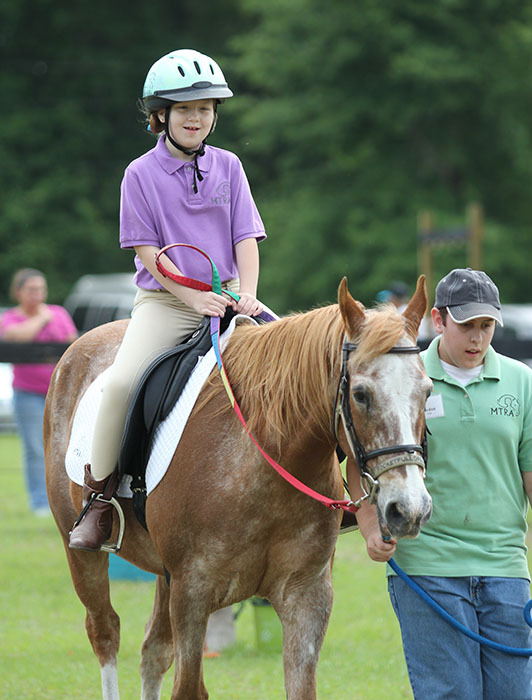 With the benefits so far reaching, MTRA follows an “adaptive equestrian experience” model which enables us to provide a full range of equine-assisted programs, including therapeutic horseback riding, dressage, games on horseback, trail courses, equine assisted mental health and learning, Special Olympics and more. This allows us to match client needs to the program best suited for them, while ensuring that we keep pace with the latest techniques to advance the progress of our students. Our riding schedule typically runs 5 days a week, 9 months each year, with morning, afternoon and evening classes served in four 8-week sessions. 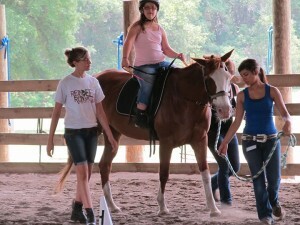 Each lesson provides a combination of riding with ground time to strengthen the bond even deeper between horse and client. Whatever type of equine-assisted activity is chosen, our goal is to help each client achieve their personal best in a warm, professional and consistent environment. MTRA frequently holds sessions specifically for riders with Multiple Sclerosis, and the Multiple Sclerosis Foundation periodically awards grants just for this purpose. If you are a victim of MS and would like to enroll in our MS riding program, please contact us for scheduling availability.